Bethesda revealed the first gameplay footage from DOOM Eternal - their highly-anticipated sequel to 2016's reboot of the iconic first-person shooter franchise - during their keynote address at QuakeCon 2018 today (August 10th). Doom has always been about "killing badass demons with big guns in unbelievable places", and Eternal doesn't look like it'll disappoint in that regard. DOOM Eternal looks crisp, with a lot of up-close, fast-paced gameplay. As evident by the gameplay, in addition to massively upgraded weapons he can use on enemies, the Doom Slayer even has an arm blade to rip apart the "mortally challenged" this time. Looking to build more lore and story for Doom, id said "We're not just making a Doom game anymore, we're building a Doom universe". You ever find yourself thinking, "That Doom Guy's not so tough". Of course, the footage was packed with a variety of terrifying new demon types, including a teased boss encounter. Take on twice as many demons in DOOM Eternal, including fan favorites from classic DOOM titles like the Archvile, Pain Elemental, and the Arachnotron. What's multiplayer in Doom Eternal like? We'll have more information on the game as news comes to light on the way to the game's 2019 release. In its huge 15 minute gameplay trailer, id Software showed off Doom Slayer's new attacks and skills including a grappling hook that lets you swing while annihilating demons, as well as a new dash ability that gives players an out when things get dicey. We'll report on it as soon as it does. As you can imagine, it was just as bloody and chaotic as you'd expect. 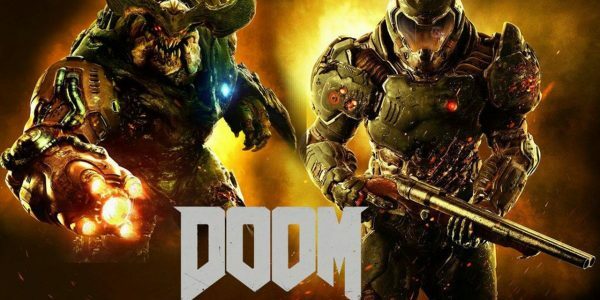 Based on what was revealed at the show, it sounds like this is going to be a new Doom game rather than a remaster or a remake.